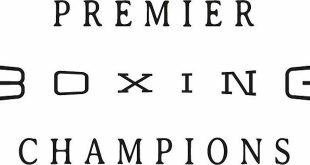 Super bantamweight world champion Daniel Roman will defend his belt against unbeaten Moises "Chucky'' Flores Saturday, June 16, live on Showtime from Ford Center at The Star in Frisco, Texas, in an event presented by Premier Boxing Champions. The event will also see former world champion Javier Fortuna clashing with Adrian Granados in a 10-round 140-pound special attraction that kicks off the Showtime Championship Boxing telecast at 9 p.m. ET/6 p.m. PT. 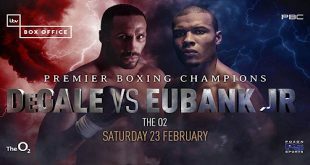 Undefeated welterweight champion Errol "The Truth'' Spence, Jr. will defend his IBF title in a Dallas-area homecoming at the Dallas Cowboys facility against unbeaten mandatory challenger Carlos Ocampo in the main event. It will be the first boxing event inside Ford Center and Spence's first hometown fight as world champion. 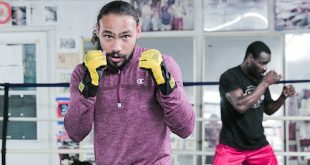 The 27-year-old Roman (24-2-1, 9 KOs) will be making his second title defense of the WBA 122-pound championship he won with a TKO victory over Shun Kubo last September in Japan. The 28-year-old, of Los Angeles, Calif., returned to Japan and made his first title defense with a unanimous decision victory over Ryo Matsumoto this February. Roman enters this bout having won 16-straight fights. "Everyone knows I want to fight the best and Flores is right up there," said Roman. "He's unbeaten for a reason and he's the number one challenger for my title. I'm not taking him lightly. I'm motivated to be great. I'm more focused now than ever before. I'm not going to let Flores, or anyone else take my belt. The plan is simple. Pick him apart round by round just like I've done in my other world title fights." Flores (25-0, 17 KOs), of Guadalajara, Jalisco, Mexico, returns to the ring after a no contest against Guillermo Rigondeaux in a fight that saw Flores hit and knocked out with a shot that was initially called legal, but was eventually ruled to have come after the bell, thus causing the no contest. The 31-year-old scored an impressive win with a decision victory over Oscar Escandon in 2015 that earned him an interim 122-pound title and followed that up with victories over previously once-beaten fighters Luis Emanuel Cusolito and Paulus Ambunda. "I'm going to make Daniel Roman fight me every round until the end," said Flores. "He's a good boxer and a counter puncher, but I'm a warrior so I'll be ready for anything he brings. If he can't hold up to my power, then he's going down early. This is a must-win and I'm determined to become a world champion on June 16." Fortuna (33-2-1, 23 KOs) won the super featherweight title with a unanimous decision against Bryan Vasquez in 2015 and enters this fight looking to bounce back from a split-decision loss to lightweight champion Robert Easter, Jr. in January on Showtime. 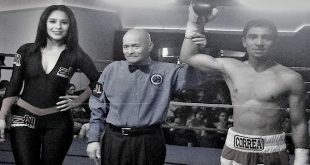 The 28-year-old Fortuna, of La Romana, Dominican Republic, failed to make weight for the Easter fight and will now seek to challenge in the 140-pound division. "I know that Adrian Granados is a warrior, but this fight breaks in my favor because I am simply the better fighter," said Fortuna. "I respect Granados' style and I know he surprises a lot of people with his resiliency in the ring. I'm fully prepared to out-box him on fight night. I'm not concerned about moving up in weight either because once we step into the ring, I'll be the bigger guy." The 28-year-old Granados (18-6-2, 12 KOs) has garnered a reputation as a boxer willing to accept all challenges and one who always pushed his opponents to the brink. Fighting out of Chicago, he looks to get back on the winning track with a victory over Fortuna. Last year, Granados lost a unanimous decision to former welterweight champion Shawn Porter and a split-decision to four-division champion Adrien Broner. Before those two losses, Granados had put together a five-match win streak that included a TKO victory over Amir Imam. "Javier Fortuna is a crafty southpaw, but I'm going to be stronger and better than ever back at 140-pounds," said Granados. "I feel like I can knock out anybody at this weight. After I beat Amir Imam, everyone has been ducking me at this weight class. I'm going to make a statement about where I belong in boxing and give the fans a great show like I always do."